Available DVDs of Reservoir Dogs. Click here for BluRay versions. Special Features: Select scene audio commentary; English and Spanish subtitles; Pulp factoids viewer - insider information about Reservoir Dogs and its sources of inspiration; Playing it fast and loose - documentary from the moment of its release in 1992, Reservoir Dogs has helped redefine modern cinema. 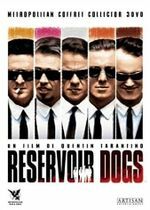 An insightful study about the impact and ripple effect of this remarkable film; Profiling the Reservoir Dogs - featurette: a unique perspective into the criminal minds of the film's colorful characters; Tipping guide - proper tipping etiquette Reservoir Dogs style; Deleted scenes; Classic interviews with Quentin Tarantino and others; K-Billy sounds of the 70's; more! Released in separate sets featuring one of the dogs on the cover (plus a booklet with quotes from the character). There is also a neutral one with all "dogs" on the cover (see below). Compared to the international releases of this set and to the new release, these releases had problems with the picture contrast, and they have a full screen version on the disc, too. Technical specifications like 2-DVD Edition, but without any extras. This limited edition comes in a Metal Pak. 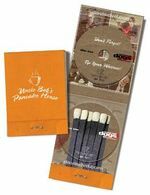 Contents are the same as the regular 2 DVD Special Edition. This page was last edited on 6 December 2017, at 19:18.